Vacancy Following the resignation of Cllr.Suddaby there is a vacancy for a new Councillor. If you would be interested in this post and serving your community please contact the Clerk for information. Road Flooding After the thunderstorm of 27 July the Highways Dept. have cleaned out the road gullies and jetted the main surface water drain which runs under the pavement. Hopefully this will allow water to drain away faster in the event of more heavy rain. Drain blockages Yorkshire Water have inspected the sewer in Main Street with a camera and found the surface internally to be very rough which causes items to catch on it and cause blockages. Please do not put any sort of baby or face wipes down the toilet as these are the major cause of blockages because they do not break down. Our defibrillator is sited on the front wall of the BATA offices. As of January 2018 24 people in the village have now been trained to save lives. If you would like to receive training in CPR and use of the defibrillator please contact the Clerk. 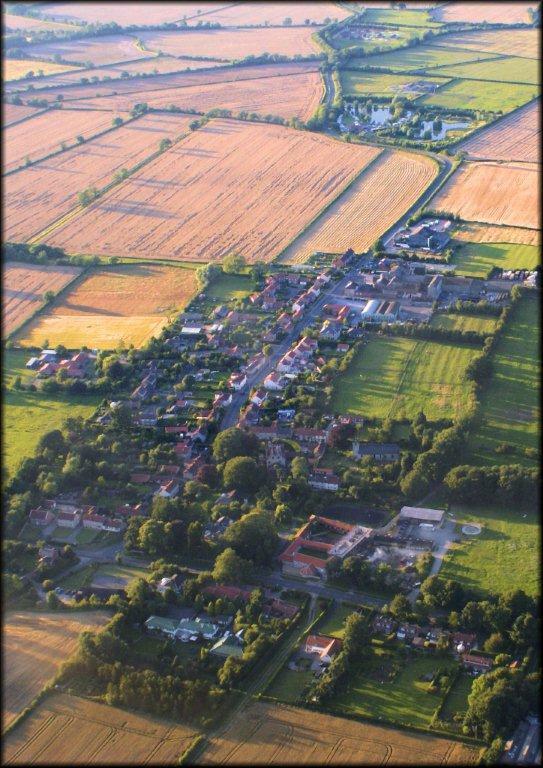 The Parish of Amotherby lies on the southern edge of the Vale of Pickering, about 3 miles west of the market town of Malton. It is approximately one mile wide and three and a quarter miles long, extending from Easthorpe and Hildenley just over the top of the Howardian Hills down the north facing slope to the River Rye at Newsham Bridge. 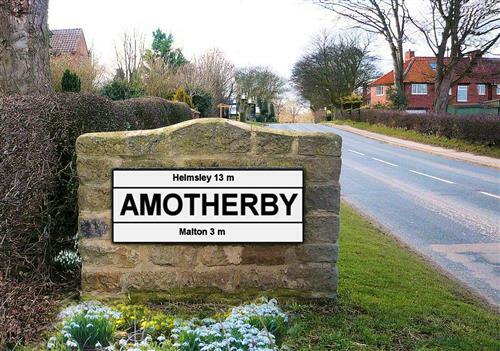 The village of Amotherby, where most houses are situated, lies at the centre of the parish where the B1257 Malton to Helmsley road and the C20 (Amotherby Lane) cross, At the last count there were 152 dwellings in the parish--120 in the village, 9 at the edge of neighbouring Appleton-le-Street, 14 at Easthorpe and Hildenley, and 9 scattered towards the river. In January 2017 there were 299 electors on the electoral roll. Although the area is primarily arable farmland there are 3 industrial employers (Malton Foods, BATA and Zetectics) situated in Amotherby. There is also a Primary School, the Queens Head Cantonese restaurant and pub, St Helens Church and a Parish (Village) Hall.